The 50 Litre Really Useful Box offers a great range of storage solutions. 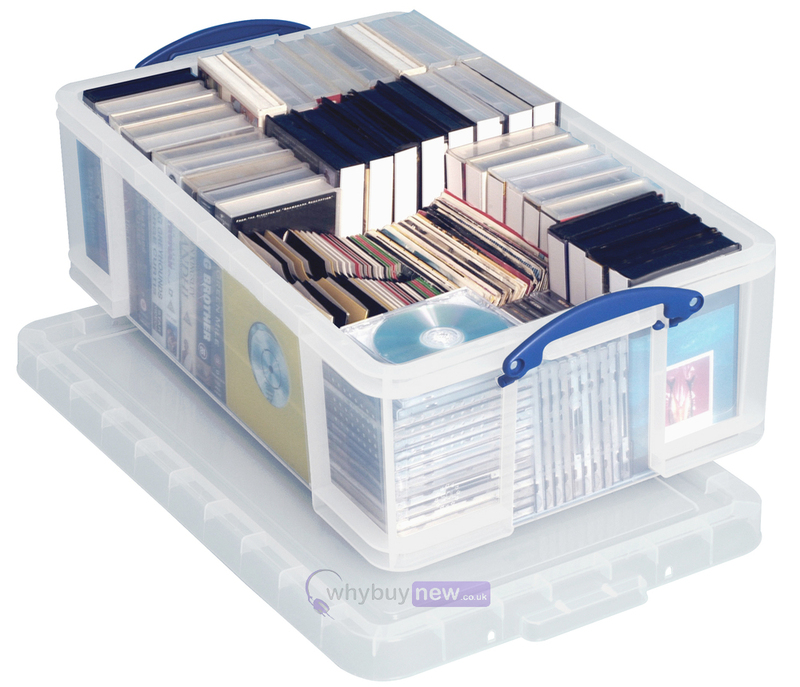 It can comfortably store 400 7" vinyl singles, 110 DVDS or 180 CDs depending on what you play/need it for. But you don't have to store music in it! It can be used for under the bed storage to keep bedrooms tidy, perfect for kids with lots of toys! It can also be used a s picture framing kit and to store power tools. All in all a great versatile storage solution. 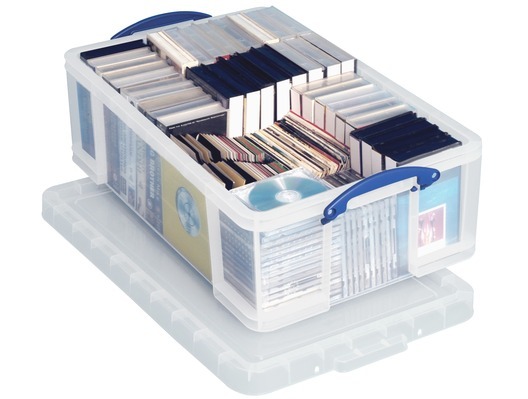 Needed to store over 350 vinyl singles - they fitted perfectly and although this number of singles are heavy, the box is very robust and the handles make it easy to move around. Did think about having two smaller and stacking them, but this way all are easily accessible. A very good product. Delivery was good.